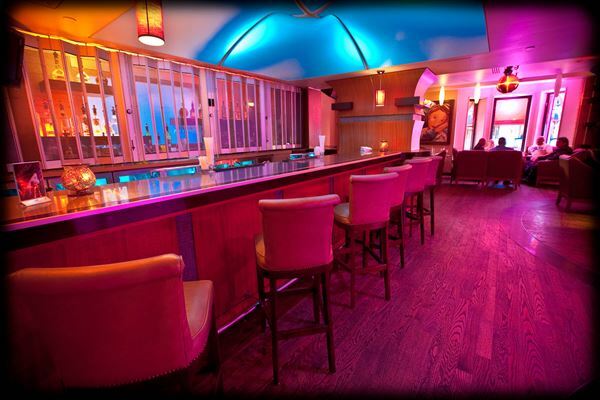 Karina’s Club Lounge is available for private events. We are experts at hosting banquet style suppers for up to 160 people and private cocktail functions of up to 300 people. Special group menus and hors d’oeuvres selections are available upon demand. We also have audio visual equipment, DJ’s and theme decorations available. I was looking for a great venue to host a banquet dinner party and I heard from a friend about Karina's. I sent an e-mail with an inquiry and I was responded to within the hour with group menus, wine lists & photos. Their event planner was even able to form an estimate within minutes of receiving my initial selections with the tax & service included. It seemed to good to be true! The day of the venue, I stopped by to see how the set-up was progressing and I found the staff diligently polishing their wine glasses & cutlery etc.. The room was set-up impeccably with great attention to detail, sound & lighting. Their in house DJ listened to my demands and played all the right music and most importantly at the right time! At the end of the party all my guest had a great time and I was extremely impressed with the ease in which my party was planned & executed. I will be doing all of my future parties at Karina's!